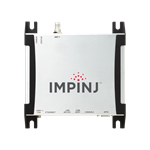 Impinj Speedway R120 - Single Port - UHF RFID Reader, Optimized for single reader zones, expandable to 8 antennas, with a Free Circular Polarize Far Field Antenna, articulating wall Mount and 3m cable. 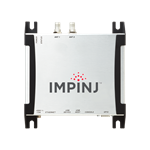 Impinj Speedway R220 - Two Port UHF RFID Reader with Free Circular Polarized Far Field Antennas, articulating wall mounts and 3m cables. 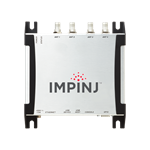 Impinj Speedway R420 - Four Port UHF RFID Reader with Free Circular Polarized Far Field Antennas, articulating wall mounts and 3m cables.